A columbarium is a place for the respectful storage of urns holding the deceased’s cremated remains. The term comes from the Latin Columba (dove) and originally referred to comparted housing for doves and pigeons. A niche is the compartment that holds the urn with the cremated remains. Although future expansion is possible, there is a limited number of niches available. You will not be leaving difficult decisions to loved ones at the time of passing. Although the Church does not try to influence a person’s decision as to a place of burial or inurnment, it does accept the cremation of Catholics. It is a choice that must be made by the individual and his/her family. Memorial Benches – The Mount St. Francis columbaria include memorial benches that provide a quiet resting place that honors you or your loved one. Your purchase supports Franciscan Community Counseling, Inc. and may qualify as a charitable contribution. Situations vary, so it is best to consult your tax advisor. 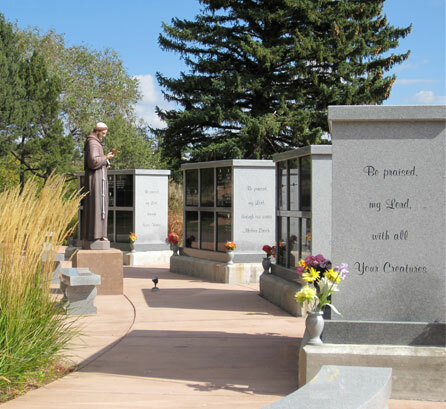 Located on the serene grounds of Mount St. Francis, the columbaria offer a beautiful, always accessible place of peace and prayer. The columbaria are well-lit, handicap accessible and secure. Call or e-mail for more columbarium information – 955-3810 or msfcolumbarium@stfrancis.org. 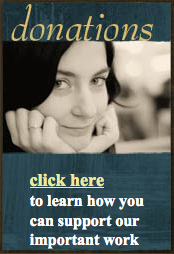 Franciscan Community Counseling can assist you with grief counseling. Please call 719-955-7008 if you would like assistance around your loss.